It’s no secret that I’m a tireless advocate for the creation of original content to fuel business growth. My next online project, however, is based on … curation. You read that right. I’m starting a new site, and the centerpiece of my content strategy will be locating and making sense of the smartest articles, audio, and video I can find in that topical market that are created by others. 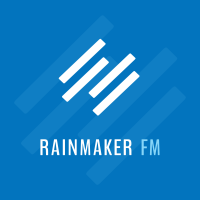 Robert Bruce: Welcome to Rainmaker.FM. Today, we’re not going to answer any questions. We’re going to dive deep into a very specific topic … this content curation thing and how to build revenue from it. Brian Clark: On one hand it is not an abstraction because this is my blueprint for a site that I am just giddily working on that I’ve hinted about in past episodes. This is the real plan that I’m actually following to create “Brian’s new site.” It is not Copyblogger Media. It’s just me and it’s something I’ve wanted to do and it’s something that interests me. I’m not really worried about it making money right away. But you know me, I haven’t done something that doesn’t generate revenue. That is generally something that I don’t do so I’m going to map out what I’m going to do including the monetization and the revenue aspects. You could follow the first two parts of this blueprint with any business model and I think that’s what’s so cool. Let’s talk about what I am actually trying to accomplish myself and that will make it real. Then, as we go forward and I get this thing going, I guess we could turn it into an ongoing case study. That’s because as we’ve discussed Robert, you throw it out there into the void and then you start figuring it out. Brian Clark: I’ve got a plan and I think it’s solid, but there are certainly going to be nuances. The cool thing is because of this podcast, I’ll be able to share them with you. Thank goodness for our meta-teaching nature. Robert Bruce: Alright, so here’s what we’re going to do. The title of this episode is How to Use Content Curation to Create a Recurring Revenue Business, and it’s got three parts. We’re going to go over content, number one. That will include how to find it, where to look for it and the basic ideas around that. Number two, we’ll talk about traffic. That will include several ways of how to get it. And number three, we’ll talk about your product, or what it is that you can sell. This is really interesting in the context of the Copyblogger universe. I’m looking forward to going through this with you. I do want folks out there to know that this episode is sponsored by the Rainmaker Platform. You can find more about that at Rainmaker Platform. Alright Brian, let’s get into the first part of this which is content. What kind of content are we talking about when we’re looking to make content curation the centerpiece of a business model online? Brian Clark: Well, of course you know that we are huge advocates for original compelling audience driven content. I’m not going to say that I’ve changed my mind. Copyblogger is not switching to a curation model. But for my next project, it is something that I am more interested in than just starting a blog or starting a podcast or whatever the case may be. You talk about content shock and that’s irrelevant because the great volume of content out there is invisible and it’s not worth seeing. That’s not the issue. What I’m seeing though is there is a lot of good content in just about any topical area you could think of. And even taking an intersection, which is one of our favorite positioning strategies where you match up copywriting and blogging and you get a site called Copyblogger. That’s just a cheap example for you, but it’s finding an editorial angle like we talked about last time in a profitable and competitive niche. That means that people are selling stuff there already. When you look around and you look at the amount of really good articles that are lost in the mass of mediocrity and all the really good podcast episodes that no one is going to find because that’s like a full-time job. This is the job of the curator. There really is an opportunity here because you can still build an audience as long as you are creating the value. Here you are creating the value by finding the best, eliminating the dreck and sending that to people. That’s your value proposition. You’re basically saying to your audience that if they’re interested in whatever the topic may be, or whatever the intersection of topics may be, but you can’t subscribe to everything and you don’t want to. So let my inbox get filled up with everything and I’ll pick the stuff for you and that’s the value. I think where we’re at online right now, that value proposition properly stated and executed on, you can build an audience with that. In essence, you’re creating a unique piece of content out of other people’s content. It’s your explanation of each of these. At the center of it, you’re building an audience. And how are you building that audience and in what form? Is it permission based email? This goes all the way back to Seth Godin in ’99 and it is still true today. If you can command that attention by providing that value and being invited into the inbox, that gives you the opportunity to make a relevant offer that is more likely to be accepted. We’ll get to that part as we progress through here. Robert Bruce: Two things come to mind with this. Number one, there are a couple of examples that we’ve talked about in our last episode, we talked about how to find a great topic to work with. So you can go back, listen to that, and find a starting point as we talk about topic and market in this episode. Number two, here are a couple of examples of what we’re talking about here that don’t necessarily match up with the revenue side of things, but they’re just a great example of people finding and publishing great curated content. They are Dave Pell at NextDraft.com and we’ve talked about him before. There is Maria Popova at BrainPickings.org and then Jason Hirschhorn at MediaREDEFined.com. Robert Bruce: You can check those folks out to kind of see what this can look like from a content gathering and distribution sense. And Brian, like you just said, we’ll talk about the revenue later, but those will give you a good idea of what this looks like. Brian makes a distinction here in terms of distribution. Right now at this point in time, email is key in terms of distribution. And it’s not that you don’t use other tools, but the centerpiece of how you want to build this audience is around the email list. Why is that? Brian Clark: Email is still the primary transaction medium for selling stuff and you have to earn the permission in the first place to get them on the list through your value proposition, which is the curation. Then you have to earn the right to make an offer. In the early days that could be relevant affiliate offers. That’s a great way to start generating revenue. It’s not the best way long-term because you’re not getting the customer and obviously that’s not a recurring model. That’s a transactional model unless you tap into a program that is subscription based. The point is that that’s where transactions continue to happen, forty times greater than social media. That’s also if you have the trust and the value proposition, that’s where you’re going to get the most attention. People do pay attention to their inbox, which is why they’re so jealous about who they let in there. Robert Bruce: Let’s move on to what you’re talking about specifically for this project that you mentioned? Brian Clark: Well, I’m not going to talk specifically about my project until I launch it and it’s not quite there yet. I’d rather give an example of a topical market and how a site that is creating original content is executing on that market. Then I’ll let you see that with the mass volume of content just from one site. Then you’ve got an entire market segment, an entire universe of people creating content aimed at this market, and how by you paying attention to all of that and picking out the very best from the filler, how you can create a publication that has this value. In the last episode, I mentioned in passing this market segment called LOHAS. That stands for Lifestyles Of Health And Sustainability (horrible acronym of course). Brian Clark: (Laughing) Ok, it goes back to around 2000/2003 where this huge market segment was identified of people who are interested in personal development, health and wellness. But it’s all tied together with this sustainable green focus, and these are well educated affluent people. Increasingly what you’re seeing as the millennial generation comes into its own, is they’re kind of this way by default. I’m not saying every millennial is like this, but it’s not strange to them to think that way. Of course, they’re definitely educated hopefully accruing revenue. Anyway, LOHAS, it’s billions and billions of dollars of people who are interested in this self-improvement, both physical and mental. It’s all wrapped up in “I’m going to spend money, I’m going to invest in companies that are green, I’m going to support organic and sustainable and green building and all this kind of stuff.” It’s a very well defined group. There’s a site called MindBodyGreen.com and it cranks out content like you wouldn’t believe. Can you see how transparently that’s matched to the LOHAS market segment? That’s just straight up positioning and it works because those things, mind body green, are the primary aspects of that market segment. That’s a good example. So you go to that site and they’re like Huffington Post in the level of content they’re creating. They’ve got a thousand contributors. I think most of the people write for free. It’s that kind of classic model where the publisher is getting the benefit of providing access to an audience and then the contributors are creating the content. That’s one site in this area. You can find many, many, many, many more and there’s so much good stuff. Some of the stuff on Mind Body Green is good and some of it is just dreck. It’s filler and it’s not inspired. You can see with this example that you’ve already identified a huge profitable market segment where people have money and they spend money, which is step number one. Number two, you found a site that is going directly after that market. And then three, from there you start looking around and finding the other content producers that you can begin to curate from. Then your value proposition is, “Hey, there is all this great stuff out here, some of it is not so great, some of it is spectacular. I’ll do the job for you of sending only the great stuff.” Say it is a health or wellness topic and the article makes an assertion about a new research study, then you go and do a little bit of research and provide your own perspective. That’s how you create original content out of someone else’s base content. That’s a very concrete example of where there’s a market, and here’s how one site is going directly after it. Then that’s my starting point for finding all of these other sites and all these other podcasts and all these videos. Right? Think multimedia and not just articles because eventually all you’re doing is linking and embedding and you’re curating. It’s actually a very powerful thing. Robert Bruce: Another side of this in terms of the finding of good stuff, is to look at Jim Coudal at Coudal.com. He’s said they have a very, very simple link blog running down what he calls it the spine of their website. They’re talking about design and film and things related to their business and what they do, but that link blog was started in Halloween of 1999. He said not long after, that became the centerpiece of what has allowed them to launch other products. He went into this great description of what it has done for them. One thing that came of that as well is that people send them great stuff all the time in order to post on that blog. Brian Clark: Oh yeah, that is an excellent point because as you start developing what we like to call the minimum viable audience where they start growing themselves, which we’ll talk about in a second, but they’ll start sending you material. Brian Clark: It’s amazing. All of the sites like Huffington Post, Gawker, and even BuzzFeed, at the beginning were really aggregation sites. For example, Gawker would find an interesting story. They’d put a better headline on it, they’d summarize it effectively. There was no reporting or research other than restating the content. So that’s an aggregation strategy. But you notice as a form of curation, all these mega-sites started that way. Robert Bruce: Everybody comes after me with pitchforks whenever I bring up Matt Drudge, but in a 1996/98 interview I caught, he was talking about getting up to ten thousand emails a day with news tips. Of course that’s the news business. It’s an entirely other thing that we don’t necessarily recommend you get into. But that’s another example of becoming known in your market, in your topic market, people will send stuff to you over and over. The way I’m thinking about this now is once I have that email audience that is topically relevant, I’m probably going to add original content. I could see launching a podcast. Instead of launching a podcast and struggling to try to get an audience, how about you get a relevant audience first, launch your podcast and then it makes a splash. Right? Then of course you could start writing your own articles and you could hire freelancers to work with you. I think that the curation aspect of this alone mixed with something perhaps like affiliate marketing could get you some revenue to where you could not only make a bigger splash with the launch of your original content, but you could finance its publication. Robert Bruce: Yep. You’ll see this both with Dave Pell and Jason Hirschhorn if you go to their sites. They have heavy curation and aggregation, but they also have sections broken out for originals. I think that is a common word that we’re seeing pop up now which really are just articles or as you said Brian, it’s a podcast that’s launched off of that audience. 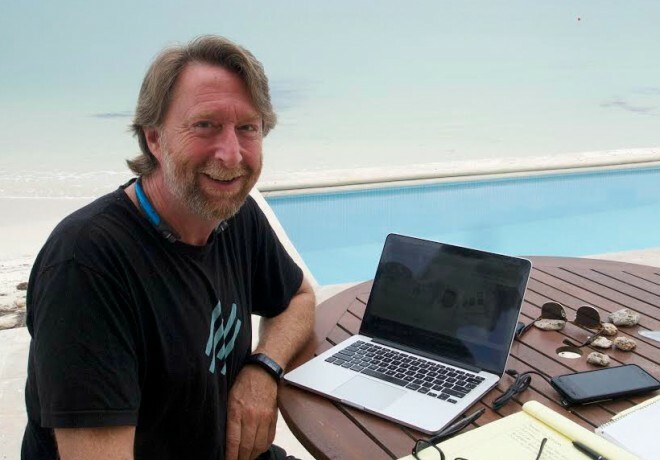 Robert Bruce: … the Rainmaker Platform. And in keeping with today’s topic, I just want to talk curation for a moment. Specifically, I want to share what’s coming to RainmakerPlatform.com. There are two main aspects of any good content curation plan and they are collection and distribution. We’re also going to be talking revenue here later in the show. But, to do these two things well right now, you need to manage a handful of web services in different places and then bring them together in a way that makes sense for you. One of the “great curses” of the web is precisely that, it’s the management of multiple logins and passwords and apps that you need to use to make it all happen. But what if you could run every aspect of your content curation strategy from one place, one login, and on one bill? Early next year, the Rainmaker Platform will allow you to do just that. I’m not going to go into great detail here but we’re currently building the Rainmaker Curator and that is a suite of tools that is going to allow you to find, organize, and distribute content not only to social networks but to the property you actually own, namely your email newsletter and your website. That will be with just a few clicks. Yes, the RSS Reader, social media scheduling and content distribution tools will be built into the Rainmaker Platform. There will not be any more multiple accounts to manage. You can get rid of a good handful of passwords when we launch this thing. This is coming to the Platform, but it is not ready yet. 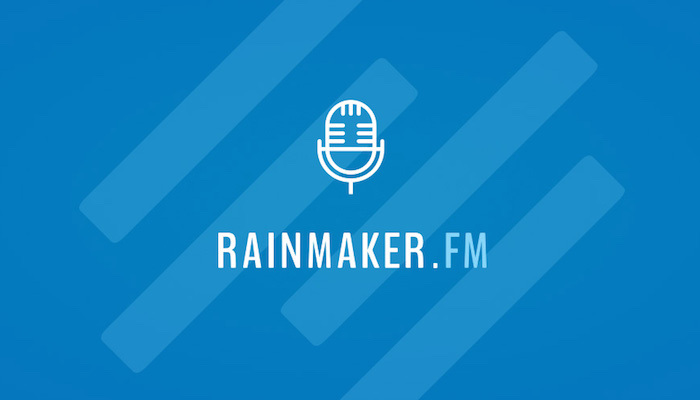 If you want to take a look at the rest of Rainmaker, take it for a free test drive for 14 days. 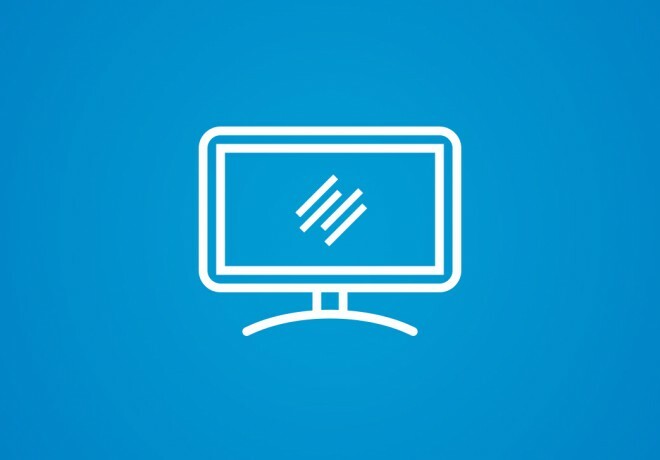 You can head over to RainmakerPlatform.com right now. Quit screwing around trying to build your website and managing all of those services scattered across the web. Get back to building your business … RainmakerPlatform.com. Alright Brian, let’s get into traffic. How do we build this audience? How do we get people to our property where we’re doing this content curation? Brian Clark: Well you know it is ironic to me that I started out in email publishing in 1998, and here we’re just shy of 2015 and I’m effectively launching a site that is based exactly how those early properties were. Some people may remember this because it was obnoxious, but people would forward email about everything. Those of us in email publishing at that time, those were our early calls to action. It was all about how to get people to forward this to a friend, get them to click here and sign up. It almost sounds antiquated. The original content sharing killer app was email and the simple forward. But what do you see Dave Pell doing every issue? He does that exact same thing. We have content sharing built in without any of these fancy platforms like Twitter or whatever. It is called email, and people do it, and it works. So you have to have enough of an audience to get that catalyst going and that’s the hard part. Once you get there though, people have that forward button at their disposal all the time and people still use it. Right? So email is a social network. The internet has always been social since the first email was sent way back when. Are You Asking the Right Questions in Your Emails? Robert Bruce: The original social network, right. Brian Clark: That’s right. So make sure that you’re not forgetting to ask. Your primary call to action in your emails is not to sell something to begin with; it is to get distribution. You want to get audience powered distribution. Now thankfully compared to 1998, we also have all of these amazing social networks and they are mainstream. They’re more mainstream today than email was in ’98 even though that sounds hard to believe. But you have to understand how the internet in the late 90’s was the shiny new thing that almost fell apart because of the exuberance and now it is the fabric of our lives. Brian Clark: Part of that with basic content creation and content marketing, is you have to build up your relevant social networks. A big part of that of course is attracting an audience. My plan right now is that I haven’t launched the site yet, but I do have a Twitter account and I have been sharing content. I don’t have any kind of following because I never told anyone about it, but that’s the beginning of my own curation strategy. I’m selecting the type of content that I think fits and I’m effectively preserving it in a Twitter feed at which point when I launch the site, I will be creating an issue. I’m talking about this in terms of newsletter. Robert Bruce: Yep. Back to email. Brian Clark: You’re creating an issue, which is original content that is driven by the things you’ve discovered, consumed, and are summarizing and/or commenting on. I will use social media to tweet the issues and share the issues. Of course, the site will be designed to maximize that opt-in at the bottom of the issue and at the top of the issue. Everyone will always be reminded, “Hey if you enjoyed this, don’t rely on Twitter. Make sure I send it to you just once a week, all the good stuff and none of the fluff.” Social networks are still fantastic for content distribution and also relationship building. When you share a content creator’s content, let them know. You’re building allies. You’re building relationships. This can open a lot of doors for you. If your reading about Dave Pell and the power he has, or Jason Hirschhorn, you know people want to be featured in MediaREDEF, right? Brian Clark: I’m like giddy about all this. You know I just think it’s fantastic. Robert Bruce: It’s like on steroids. Do you remember the days when you showed up on somebody’s blogroll in the sidebar of their blog? Robert Bruce: It’s coming back in a much more powerful and relevant and useful way for the audience. Brian Clark: Right. So with social media, you understand that you have to build up those networks to get any kind of exposure. I led with email forwards and those calls to action with an issue because I think sometimes people just forget how easy that is to share. Robert Bruce: Yep. I also don’t want to run over something else you said. You’re actually using Twitter as an organization tool for that content to use again later. Brian Clark: That is exactly right. Why would I put links in a Google doc when I can put them out there and slowly attract some people. Robert Bruce: And have them start working for you. Brian Clark: Right? Without really trying, but as an organization approach. It has benefits beyond the fact that I just look at what I found each day, scan down the feed, and I could pull out the ten things I want to talk about in an issue. Brian Clark: So that’s what I’m doing so far. If it gets more complicated, then I’ll have to look at other solutions. There’s some software called Curata I’m going to check out. It’s expensive so I probably won’t be recommending it to you guys even if I did it, but sometimes I just think the tools aren’t all that necessary. Brian Clark: It’s really more simple than we want to let it be. It’s like finding good stuff, preserving it, revisiting it later in order to decide which of these fifteen things I found this week that I actually want to pare down to the best eight or ten things. Robert Bruce: You’re right, this is not brain surgery here. I’d like to add two things in particular quickly. I use Twitter lists to do this. Through a Twitter list just set one up and then follow a bunch of people on that list so it’s not in your main stream. You don’t want it to get buried. That is a great way to keep up with particular sites or people who are in this market that you’re looking to target. Or what about going back to good old fashioned RSS reader? I personally haven’t done that in a while. Brian Clark: I use RSS to find stuff. I’ve got a pretty big list. And I follow people on Twitter with that account that I’m actually posting to. Brian Clark: I find stories that way. The RSS may not have caught on with normal people but we’re not normal people. If you’re a curator, you want RSS. You want all the feeds you can get in order to find the cool stuff. Right? Brian Clark: That’s what continues to get me excited about the need for this. You’ve got to find a way to get the word out there because when you’re creating original content, let’s say you’re completely unknown like I was with Copyblogger, the first three months were pretty lonely. I got a couple of links that kept me going, but it wasn’t until I created this original piece of content, this PDF report that it blew up huge. That is the power of original content. With curation, you don’t necessarily have that although you could strategically. For example, say you’re curating for three months and you’re slowly building that audience. It’s not a homerun, but you’ve gleaned some insights that would make an incredible infographic. Right? So you invest in the infographic at that point and then you promote that thing like crazy and maybe that is your moment. Again, doing original content is not necessarily required. But if you’re struggling a little bit, it can be the catalyst. Here’s what I really want you to focus on though with original content, which is guest posting. This is probably so counter intuitive to people given that we always talk about creating content on your own site. If your main value proposition is curation and your original aggregation of whatever you decide to put in this particular issue, that’s what you’re selling for free, but that’s your thing. You still have to be able to read the relevant audience on other content sites. For me, what I would do as opposed to creating original content right off the bat for my site, I would instead go out and guest post. Now remember when Zen Habits launched? Do you remember that? Brian Clark: Leo Babauta, it is one of the most popular personal development blogs in the world. And Leo just went out like a maniac and guest posted everywhere he could. That’s how Zen Habits became a thing. It is tried and true. Robert Bruce: That is what made that site. I think he was at the time still working his day job. He was obviously writing an article or two a week for the site or whatever his schedule there was, but he was everywhere. I think he said it several times that that’s what made the site. Brian Clark: The advice has been consistent in that your best work should be on the other sites. That is counterintuitive to people. But in curation, it is totally easy for you to do that because you’re not creating original content on your site. You’re curating. You’re performing a valuable editorial thing. So everywhere you guest post, you’ve got to make sure you’re getting what you need out of it which is either the ability to link within the body, which probably won’t happen unless you have a relationship. With that though, your bio has to be 100% focused on expressing the value proposition of your curated email. Brian Clark: Get all the good stuff and none of the bad with blah, blah, blah. You have to be ruthless about that. If someone is accepting contributions and they’re not going to let you create a bio that provides a link back to your site, there is nothing in it for you unless they’re paying you. Again, the only value of getting that money would be to use my next tactic, which is old-fashioned paid traffic with the singular goal of email opt-ins. Your homepage should be nothing but your value proposition and an opt-in. And below that, maybe you have a sample issue and a link to an About page for people who aren’t sold yet. But that’s all you’re trying to do. That is your singular focus. No sidebar. No nav. It’s Landing Page 101 with no distractions and one goal. Brian Clark: It’s the audience and the list. I think that’s understandable but it’s a little naïve. Have you ever heard of Noah Kagan talking about what they were willing to pay for an email subscriber at AppSumo? They built that amazingly huge list. The audience is an asset if you do it right. You don’t want junk traffic so you’ve got to be very careful about what you’re paying for. But if it’s something like pay-per-click or Facebook ads or Twitter ads, or something like that, you have to experiment and figure out what that email subscriber is worth to you. You may be shocked at how much value is placed on one email subscriber. Brian Clark: I put paid last because not everyone has got the budget for it. If you do have the budget for it, you should realize that you are definitely investing in a long-term asset. And what if within the first 30 days of subscribing you have figured out an affiliate offer that works? That’s a way to break even. You may even make a profit. It’s okay to think that way. You don’t have to be brutally uncommercial. That’s not the goal. I do recommend affiliate offers as a means of growing the audience as opposed to the primary way to make business. Brian Clark: Look at a guy like Pat Flynn with his podcast. I think I’m going to interview him for the show, but I think all he does is make affiliate offers and he makes a ton of money. You can get there. I like to think in terms of investing and building an audience asset. That’s what I did in 2006 with Copyblogger. It has been paying us every year since. Robert Bruce: And if paid traffic is not your thing, then go back to number two, which is guest posting. It can’t be stated enough at how powerful that can be. Brian Clark: It’s really time or money? What do you want to spend? Robert Bruce: You want to sweat it out and that’s fine, but it really does work. So those are the three points under the idea of getting traffic and getting to the starting point of building an audience, which is through the email newsletter. It’s making use of and asking for that forward. And then general word of mouth throughout social media is number one. Guest posting is number two. And paid traffic is number three. How about we get going into the idea of what a revenue model could look like for this content curation strategy? Brian Clark: Well you know the overriding topic of the last several episodes is membership sites on some sort of paid premium content. That’s one of the best ways to make money because you own the customer, you own the relationship, you’re building a paid community, and there’s a recurring revenue model there. So again, affiliate marketing is great. I think someone asked us a question where they said, “Would you ever do affiliate marketing inside a paid member area?” Yes, that’s actually one of the business models in Teaching Sells. Absolutely. It’s about how much you promote and what really comes down to your relationship with your audience. I think there’s always a judgment call when that happens. 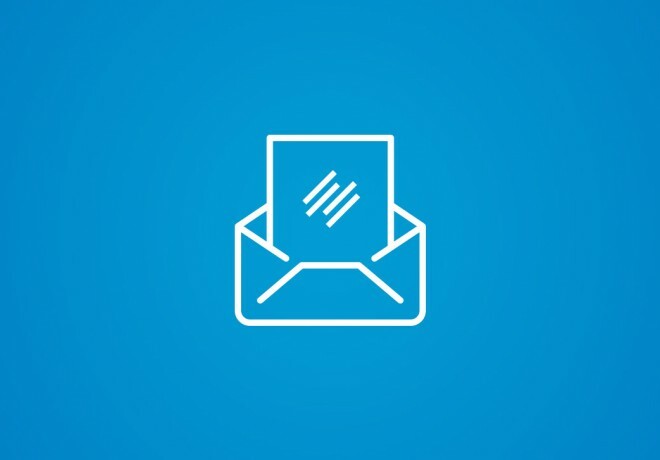 So how would we take this audience that we built with email? They’re obviously interested in certain topics. These topics are things that people spend money on. We’ve already gone through this process, so let me give you a little bit of an anecdote. Back in 1984, a guy named Harry Marks and Richard Wurman put on a conference. It was kind of a financial disaster and it went away for six years until 1990 when a guy named Chris Anderson took it over. It was a conference about technology, entertainment, and design. Robert, what conference is that? Robert Bruce: It’s got to be TED. Brian Clark: It is. It’s TED. It’s one of the most prestigious and well known. Everyone looks at where things are and says, “Oh, I could never do that.” They don’t look where it started. The first year was a flop. Six years later it is resurrected and slowly builds up. And then based on their success, I think tickets are like $4,600 and you’ve got to be invited and it’s amazing. Robert Bruce: When did Anderson take it over again? Robert Bruce: So even from that point, it’s still a long slog. The same thing could apply to Copyblogger if you wanted to go look at what that original site looked like with just me and a couple of articles a week. So TED is an example. And even Chris Anderson, what does he call himself? He’s the curator of the TED experience. In past episodes, we talked about this impresario concept, which is an old-school term for people who used to put on operas and other staged events where you have an entrepreneur, or the impresario who is effectively collecting the talents of others and creating something out of it that is delightful, but also profitable. Just like the TED conference is a curated experience that relies on the brains and the abilities and the presentation skills of all these other people, the same thing can go for you. We’ve talked in the past about virtual conferences. Outside of my own little pet project that we’re using as a case study, we’re going to be doing various virtual conferences in 2015. It will be business model level stuff and something that we know there is a giant need for but is really beyond our normal content marketing material. That’s because one thing we’re good at other than content is a business model. We can look at how you structure something between what you give away for free and what do you charge for, all the way up to your revenue model. Robert Bruce: So this is leveraging the audience that you build from the curation into some kind of impresario situation like you’ve just described. Brian Clark: So you’ve got the audience. Brian Clark: You’re starting to develop relationships with content creators because they’re noticing that you’re sending them traffic. Maybe you’re going out there to relevant live events and developing those relationships. It always comes down to that. Or I know this sounds crazy to people but it happens all the time in direct marketing which is, “I’ll give you all of the sales, I don’t care.” That’s because what happens when you put on that first year event and maybe you don’t make any money or maybe you lose a little bit of money, but what do you have now? You have a whole bunch of paying customers. They’re your customers and not theirs. This is how people get ripped off by Amazon all the time. They’re like, “Oh I don’t want to have to sell this myself on my own site so I’ll just go to Amazon.” Guess what? They have the customer relationship and you got a few dollars. Brian Clark: The customer relationship is everything. Let me give you a real world example of this. So there’s Mike Stelzner with the Social Media Examiner. I love this story because Mike used to write for Copyblogger. That’s exactly what he did and it went crazy popular because it was talking about the medium that it was depending on. Some people don’t realize now that Mike has this huge live event that he started with this exact model, which is a virtual conference. He called in all the relationships that he had, including me and many other people. He did a revenue share on ticket sales so he was leveraging other people’s audiences even though he did have one of his own, but it was really just getting started. He wanted to make sure that he shared the wealth with the people that he was relying on for content for his virtual event. So that happens. But the next time he needs to put this event on, he’s got all these attendees so he markets to them first to make sure he’s got enough sales to cover expenses and just get it going, and that’s all his because those are his customers. Brian Clark: So what is Mike doing? Mike is curating. He is making it worth the while of the people who are contributing in the different context content, much like people at TED are contributing their time and expertise to get up there on stage. Now of course there’s something in it for them too and that’s what you always have to realize. You have to answer what is the right level of in it for them? Is your audience big enough to where that’s all they need? Sometimes. When you’re first getting started there is revenue sharing or something like that. You could even pay people for their time if it needs to come to that. We can’t sit here and think that this is free. Either your time or your money is going to be involved and it really just depends on what you have more of. So you’re curating to build the audience and then you invest your time and/or funds into creating a membership site. Jim Kukral comes to mind as well. He focuses on helping authors with their marketing. He has a membership site for authors but he is also doing a great looking virtual conference that I stumbled upon the other day. I’m asking which is first, the cart or the horse? If you do a virtual conference, you have all this relevant content, hopefully that’s somewhat evergreen and that becomes the basis of your membership site. Now you’re going to want to create a community. So we’ve been teaching in Teaching Sells since 2007 that the forum, they’ll come for the content, they will pay you initially for the value of the information that you’re providing, the benefits of knowledge as we’ve discussed, and they’ll stay for the other people. They’ll stay for access to you. It’s hard to sell community only and I’ve seen people crash and burn doing it. You’ve got to lead with content. Once they get in there and they have this experience, they don’t want to leave. So you could do the virtual conference as a one-time fee. You’re either collecting some revenue or you’re basically sharing it with your partners in order to put on the next show or to sell the ongoing membership program. That’s where those recordings come in. They can either be the initial content or augment other membership content so you can invite those original attendees to be charter members of the ongoing recurring member program. Or you just continue to do your virtual conferences as a form of event marketing. These virtual conferences tend to defeat that inclination of not joining a membership program because, “Oh, I can always join later and I’ll just have more stuff at that time.” Right? Virtual conferences may be online only, but they are events that take place at a certain time. Whether or not you provide recordings to attendees, there’s a lot of variables that you can do and you can take a look at what some other people are doing out there, but you get the idea. You’re curating other people’s authority, other people’s expertise, and maybe even leveraging their audience. That’s the start to where you continue to grow revenue. And then you can make different choices as far as “Okay, now I can really accelerate my paid traffic for the newsletter” which are all the prospects for the next virtual conference of the membership program. Does that make sense? Robert Bruce: It does. And it also makes sense to me that even if someone does not pursue this particular revenue model, you should be able to see here the bigger point, which is with an audience, with connections, there’s almost anything that can be done in terms of a business model. People jump straight to “I’ve got to get tons of traffic so I can then get advertisers.” This opens up a whole new world based on real human connections and a real audience that you built over time that should show you what is possible in terms of a revenue model with this kind of business. Brian Clark: And a mega-site like Mind Body Green that I mentioned earlier, they do accept advertising. Robert Bruce: Oh sure, absolutely. Brian Clark: They also do virtual conferences and they sell courses. That’s because everyone has wised up to where advertising may cover a site like that’s overhead, but they’re making their money off of the member content. We’re seeing more and more journalists splitting off and making a living with their own membership site based on their unique insight. If you’re not that person who wants to be the voice, what you need to be is the impresario. You’re the entrepreneur. You make it happen. You bring people together. You have relationships. Of course none of this says that if you’re a writer or a podcaster that you can’t just do it the way it has always been done. I still love this leading with curation thing because people are starting to value the fact that you’re doing that work for them. They do want to keep up with whatever it is, they just don’t have time. Robert Bruce: Thanks for listening, everybody. 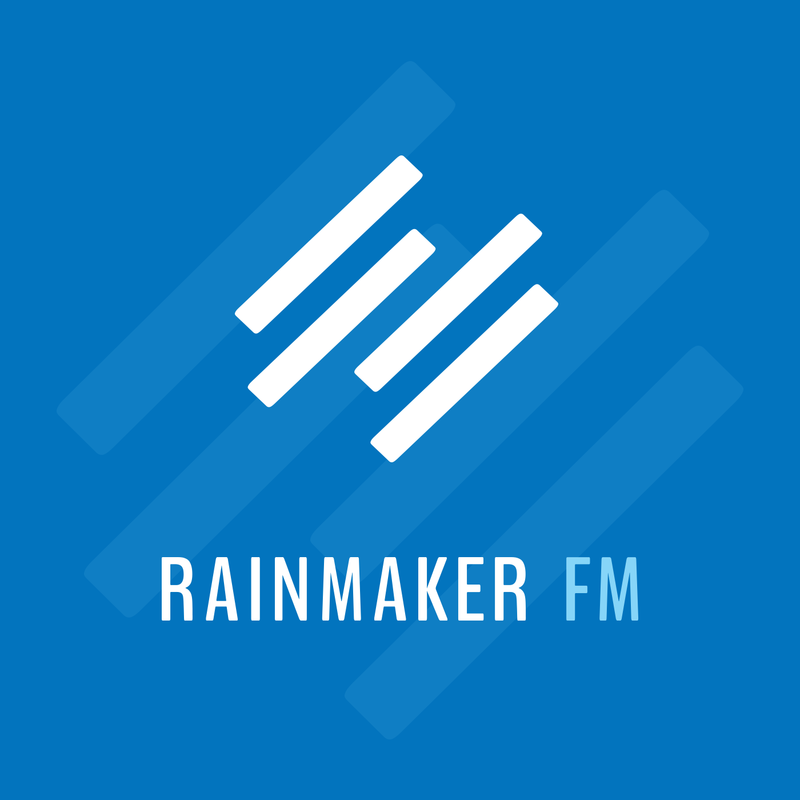 If you’d like to get Rainmaker FM delivered, head over to Rainmaker.FM and sign up by email. When you do that, you’ll also be given free access to two weeks of training that we think will change the way you think about online marketing. If Rainmaker FM does something to you or for you, please leave a comment or a rating for us over at iTunes. That helps spread the word about the show and is always very much appreciated by us. Brian, thanks for this one. I’ll see you next week. Brian Clark: See you, everyone.